Cannabis food products aren't for sale yet in Canada, but entrepreneurs already preparing for legalization of edibles. Chef Cody Lindsay whips pancake batter while an intrigued crowd watches. He adds whole wheat flour and oats to give the mixture a healthy boost. 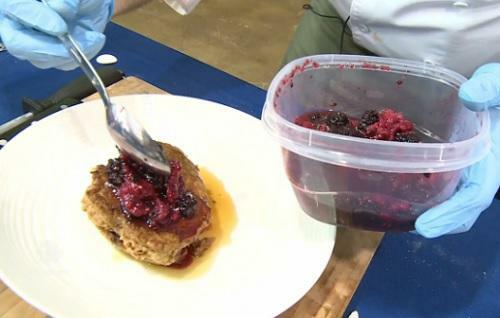 "It's just small improvements to your diet that will help you feel better," he tells the audience at a recent cooking demonstration in Toronto. Then comes the final ingredient — one not typically found in pancakes — a few doses of cannabis oil. "Now, we know that each pancake is going to have a least one millilitre of THC," Lindsay says.